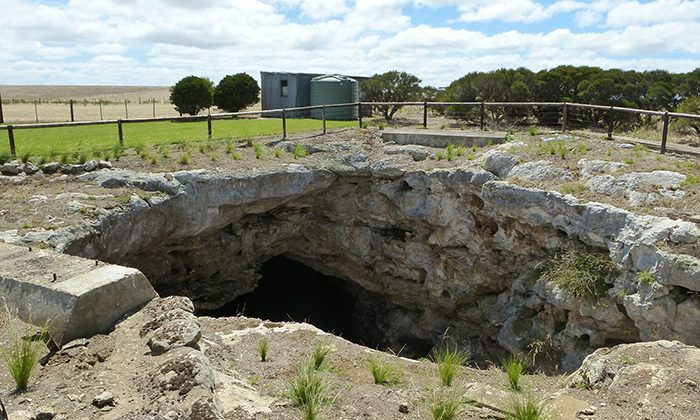 Mount Gambier offers the best freshwater and cave diving on the continent. 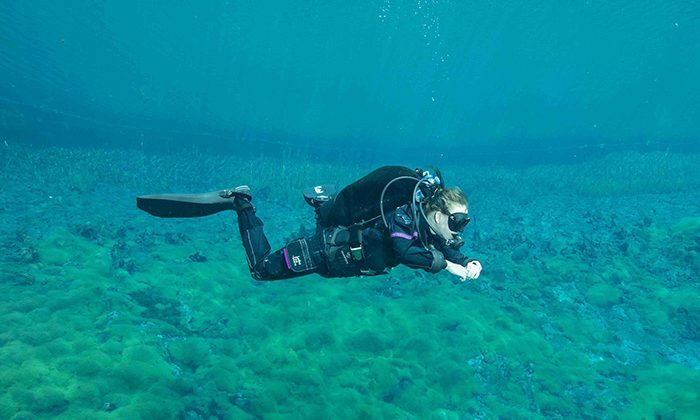 Two unique locations exemplify the wonders and visibility for both technical and newbie divers alike (and in the case of Ewen Ponds, snorkellers too). 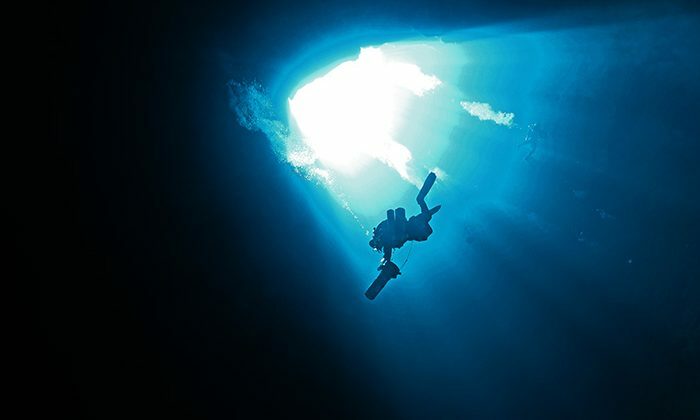 Kilsby’s is a vast sinkhole where you can descend in the light zone, as sunlight penetrates up to 40 metres of water. Ewens Ponds Conservation Park consists of a series of channels, bursting with endemic aquatic plants and creatures. 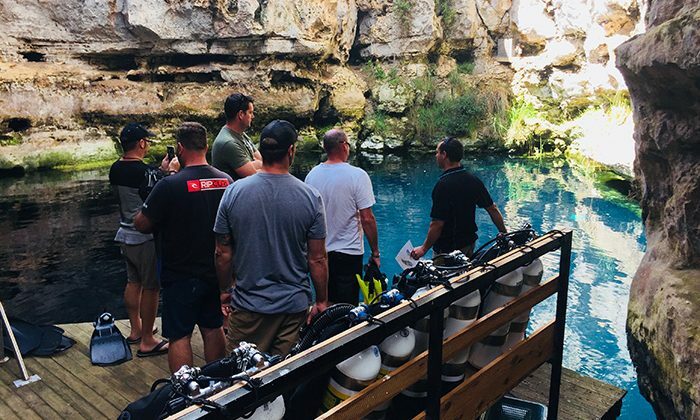 It’s as rich a diving experience as you’ll have anywhere, especially for those divers looking for something different. Length of Trip : Budget a half day to visit each site. Click here for the latest prices from Reef2Ridge, including gear rental. We recommend The Barn, which is located on five acres of carefully manicured English style gardens. Located a little outside of town, the rooms are spacious and modern, and adjacent to the award-winning restaurant. 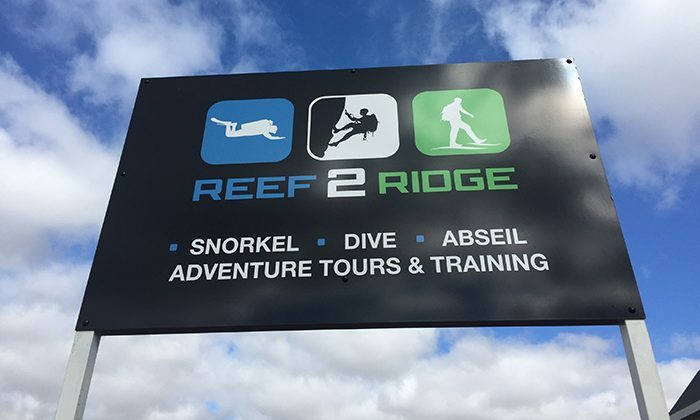 Reef2Ridge is located at 11 Caldwell Street in Mount Gambier. The company can arrange transfers to the sites or you could self drive. Reef 2 ridge is a rated SDI/TDI 5 star instructor training centre offering all levels of dive training. 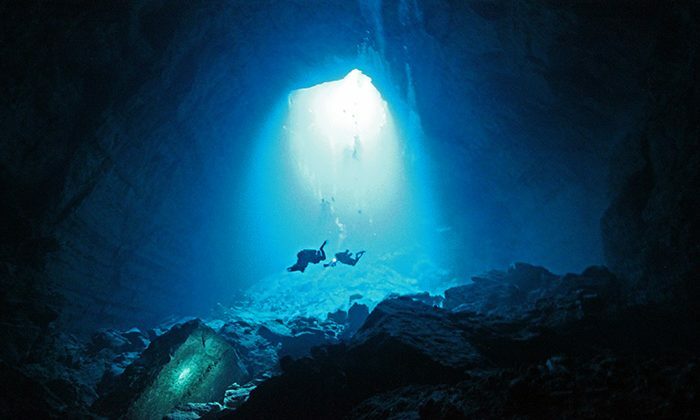 Cave diving is a whole new thrill, and this is one of the best places on the planet to do it. Ewens Ponds is particularly inviting for new divers, as the depth is less than ten metres and you don't have to worry about equalizing or flying issues. Kilsbys can only be accessed via Reef2Ridge who have an arrangement with the land owner. While in Mt Gambier, don't miss the amazing Blue Hole. 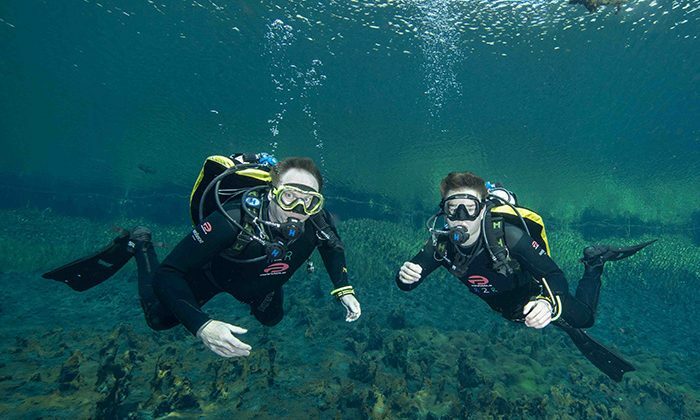 Does scuba diving outside Mt Gambier belong on The Great Australian Bucket List?